Disney unveiled the 50-foot wide model at the D23 expo in California. Disney has finally given a first glimpse into its highly anticipated Star Wars lands currently being built in California and Florida, unveiling a 50-foot wide 3D model of the area that will eventually cover about 14 acres. The Star Wars-themed attractions are due to open in 2019 at Disneyland in Anaheim, and at Disney’s Hollywood Studios at Disney World in Orlando. 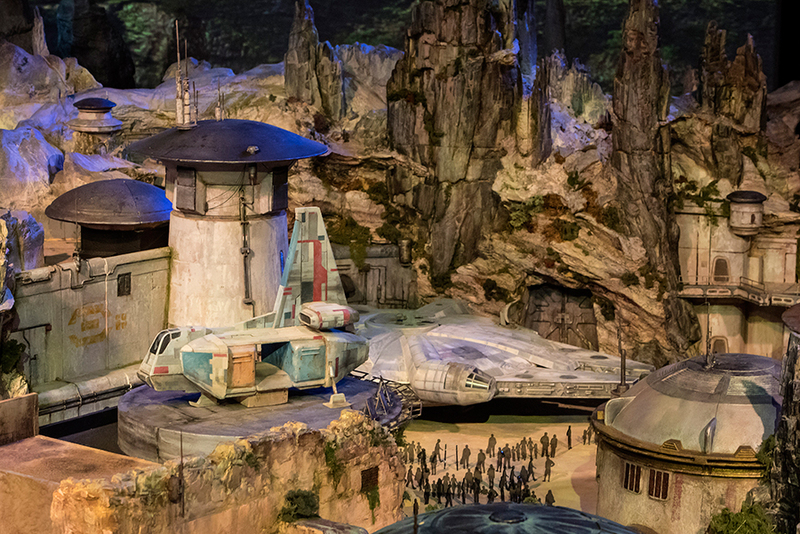 In a blog post, the company said both Star Wars-inspired lands will take guests to a never-before-seen planet, a remote trading port, and “one of the last stops before Wild Space.” The unveiling came at the D23 expo, currently being held in Anaheim, California, where the models are on display through the weekend. There will be two main attractions — one that lets guests captain the Millennium Falcon on a secret mission, while the other places thrill-seekers in the middle of a “climatic battle” between the First Order and the Resistance. 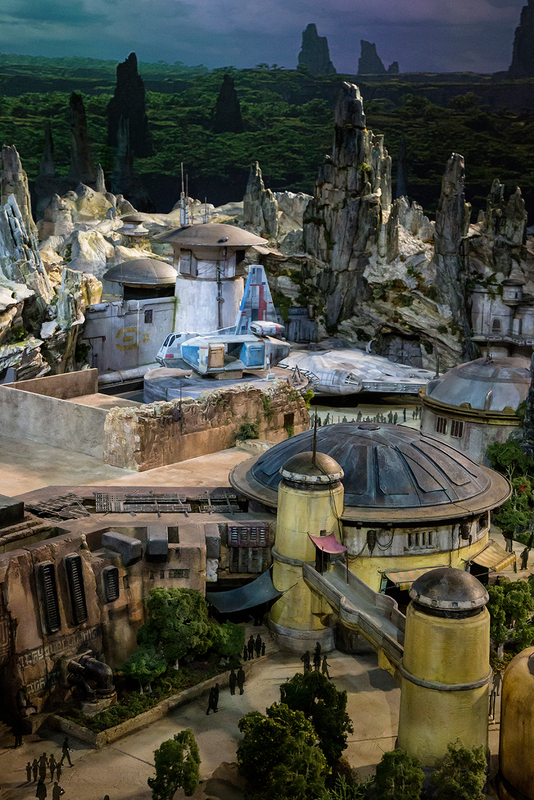 The images released show rugged terrain, lush forest reminiscent of scenes on Endor in Return of the Jedi, and metal cantina structures. According to Bloomberg, the new Star Wars lands will cost about $1 billion each. “This is the most ambitious land we’ve built to date,” said Bob Chapek, chairman of Disney’s parks division at the unveiling. Plans for Star Wars lands were announced two years ago and promised “total immersion” that would see guests walk around and interact with random characters. The new section also boasts a never-before-seen planet and a remote trading port. Earlier this year, Disney also ramped up its expansion, and opened an Avatar-themed land in Orlando based on the movie’s feature planet Pandora. A 3D-model of the Star Wars section of its theme park. Published on Fri, 14 Jul 2017 08:32:05 GMT, © All rights reserved by the publisher.